How can I pick out a wedding color that I like and still keep it in fall fashion? My wedding is in 3 months. We are thinking of November 13th around 4:00pm. It is a last minute wedding but we want to make it memorable. My father is a pastor and are very close with the church. There are 80 people from church and around 150 close friends and family from both sides. It is going to be 2 hours away at my parents’ 10 acre farm, which is also going to make it hard to get all the guests to attend due to the stay. Both the Ceremony and Reception is going to be there. I have expensive taste but unfortunately we are on a budget due to the economy. My parents are only able to give me $5,000 and I'm thinking that my fiance and I can come up with the other $5,000. 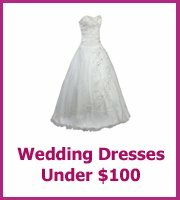 I plan on having about 6 bridesmaid and 6 groomsmen, 2 flower girls and my daughter. And my father will be walking me as well as marrying me. 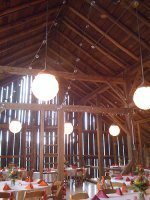 I like a more modern style but do not know how to incorporate that into an outside farm wedding. I don't know where to start and I want it to be as romantic as possible. The one main important part of the wedding is my daughter, she is five years old. I want to figure out a way of how to make it really special. I was thinking of both my fiance and I to hand her a charm bracelet after we exchange rings. but I want to plan more for her. I need lots of help! Thank you very much! Wow! Lots going on! Starting with your daughter a very special way to include her in your wedding is to have a unity sand ceremony. This is where the three of you have your own small vase of sand that you pour into one large vase as a symbol of the three of you coming together. It is very sweet and also very special for your daughter too as she will see how important she is to the two of you. Now going to your budget of $10,000, which is a lot of money you will still need to be careful with how you spend it as 230 people, plus 6 bridesmaids, flower girls and 6 groomsmen is a big wedding. 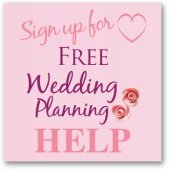 However you have the biggest expense for free which is your wedding venue, brilliant! Think about what is important to you both and allocate your budget accordingly. I have seen great big fall weddings where the food is warming soups and crusty bread or small more intimate weddings where there is a big banquet. I am guessing by your question on what color to choose and still keep it with your Fall theme that you are not loving the traditional fall colors. May be think about combining the traditional colors with more modern ones and then have both as your wedding colors. Orange and bright pink, chocolate brown and turquoise, deep red or dark purple with cream. Have a play with what you like to come up with your own combination. For an additional theme to your wedding invitations is there a big tree on the farm that you could either use the image of the tree in one of your colors printed onto your other color or a leaf from the tree. This would tie your colors, your parent's farm and the fall theme together. For your decor keep it minimal as farms are beautiful and natural. 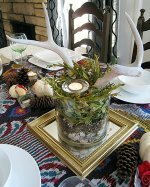 Use fairy lights and candles to help add extra magic if you are going on into the evening. Hope that helps you get started, good luck and would love to hear how you get on.